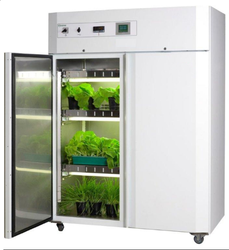 Offering you a complete choice of products which include green walk-in plant growth chamber, walk-in plant growth chamber and arabidopsis plant growth chamber. 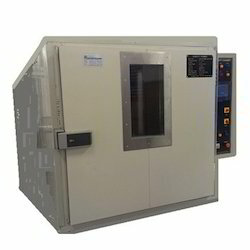 As a renowned organization, we are engaged in offering a wide range of Walk in Plant Growth Chambers. Our systems fulfil the requirements of international testing standards. These products are widely used for testing the various effects on plants, due to climatic change. Our valued clients can avail from us Plant Growth Chambers, that are fabricated using the quality raw material so that the end product is durable and efficient. Ideally used for agricultural purposes, these can be availed by our at reasonable prices. 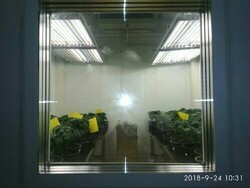 Offering a wide range of Arabidopsis Plant Growth Chamber to our valuable client in different specification to meet the diverse requirement of client. These are made from the high quality raw material. Our vendors assure that products offered by them are in conformation with the prescribed industrial standards, which render utmost client satisfaction.